In my shop you find unique hand dyed yarns. I specialize in gradients but also love to dye the variagated and semisolid colorways. Gorgeous colours and the yarn feels beautiful. Very quick arrival, thank you. Beautiful yarn which arrived very quickly. A bilum is a string bag used in everyday life in Papua New Guinea. It is usually made of yarn or other thick string, using a net making technique. I used to live in PNG for 1,5 years, enjoyed it very much. I chose the word bilum as my shop name because the bilum and my time in Papua New Guinea is part of who I am now. Well, I love luxury yarns. 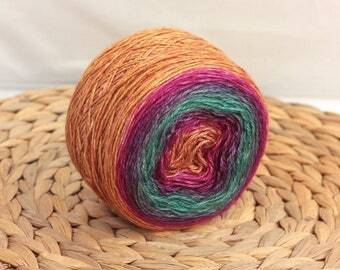 When I started dyeing yarns, I dyed everthing that I could get my hands on. As I got more and more experience and tried different yarn bases, I decided to go with unique, luxury yarns, made of silk, camel, yak, cashmere and organic merino wool. 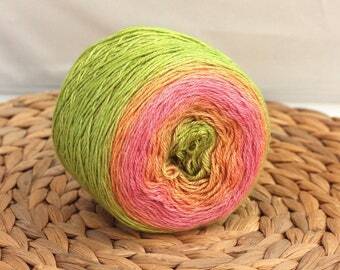 I only dye natural yarns, spun mainly of animal fibers. I do have some sock yarn in stock from previous times (sock yarn does have some polyamid in it) but I won't dye them any more. I love colors, I love learning new things and trying out new techniques and figuring out stuff for myself. I came across dyeing yarn a few years ago and fell in love. I started experimenting with different techniques and soon I had more yarn than I could have used in years. 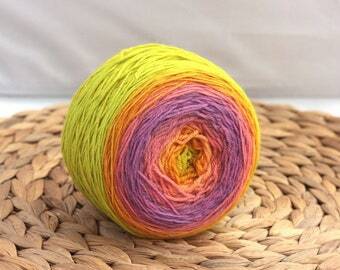 This was the time when I decided that I would sell the yarns I dyed. Since then I have developed a few techiques of my own, have mixed lots of gorgeous colors and have worked with lots of yarn bases. And I still enjoy the process! I use professional acid dyes. I use kettle dyeing, hand painting and in most cases both to achieve the colors I see in front of me before I start dyeing. I get inspired by lots of things, the nature around us has beautiful colors, but sometimes I just notice a color on someone's skirt and match it up with another one seen on a car. It is a fun process! I love colors. I love experimenting. I love learning. I am never bored! 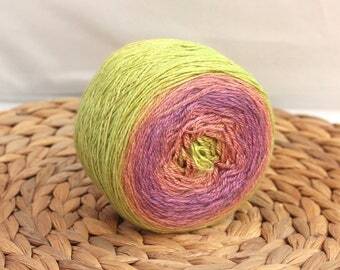 I do take custom orders, I would be very happy to create the yarn of your dreams. 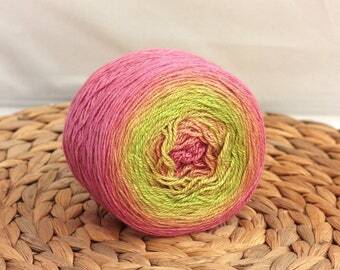 I hope you will enjoy using my yarns as much as I enjoy the dyeing process. If you are not satisfied with your order, you can ship it back to me - return shipping is paid by the customer. I will refund your money or send you another item you like - you decide which option you choose! If you chose unregistered delivery and your package got lost, unfortunately I can't refund your money. I accept payment via PayPal and etsy payments. I am happy to ship all over the world! I will ship as soon as possible, not later than 3 business days following receipt of payment and completion of order. In general, I ship using the Hungarian Postal Services (Magyar Posta), using recorded delivery, since I cannot take responsibility for unrecorded mail. If there are any taxes and/or customs to be payed in your country, you have to pay them. Using this shipping method, your yarns will arrive in 5-10 days, depending on the country they are shipped to. If you need your package faster, please upgrade to the FedEx option, with FedEx the delivery time reduces to 2-3 days. I take custom orders as well. Be prepared, I will ask you tons of questions about your dream yarn (including exact color, type of yarn, weight of yarn etc.) :-) But this is to make sure I create one that you really like!